By day, he works for the NYC Department of Education; by night, he’s the chef/owner of his Bib Gourmand restaurant. 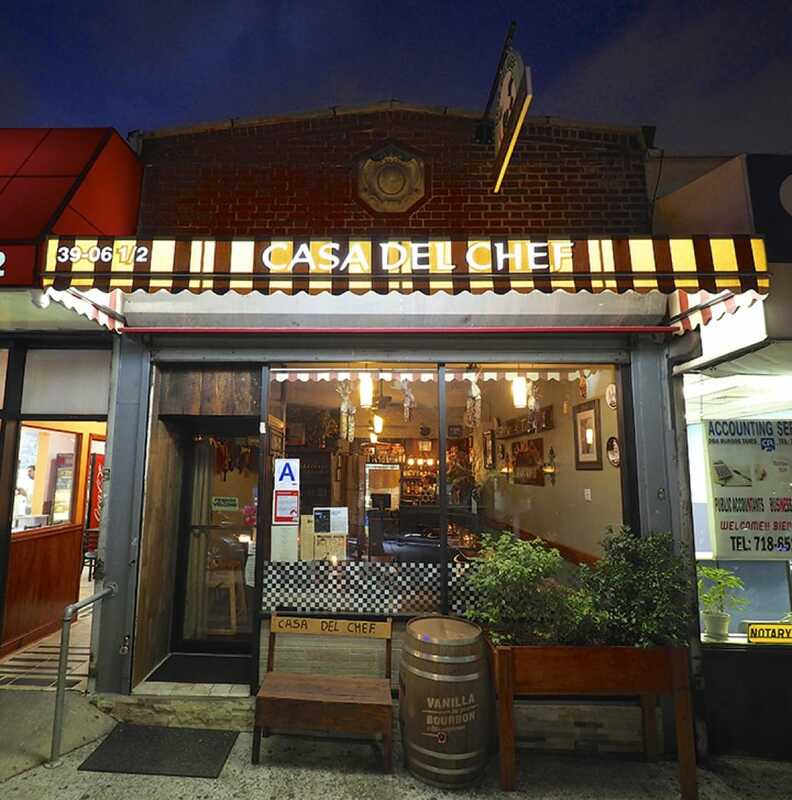 The laughter of children punctuates the background, and chef Alfonso Zhicay of the Bib Gourmand-awarded Casa del Chef Bistro in Woodside, Queens ducks outside to continue our phone conversation. He’s wrapping up at the Academy of the City Charter School, his daytime job where he is tasked with running the kitchen, feeding 400 demanding pint-sized customers from a menu dictated by the NYC Department of Education. Now you may be thinking: why would a successful restauranteur with credits including Blue Hill and Bouley Bakery keep a side-job working for the government? “Just in case,” he states. 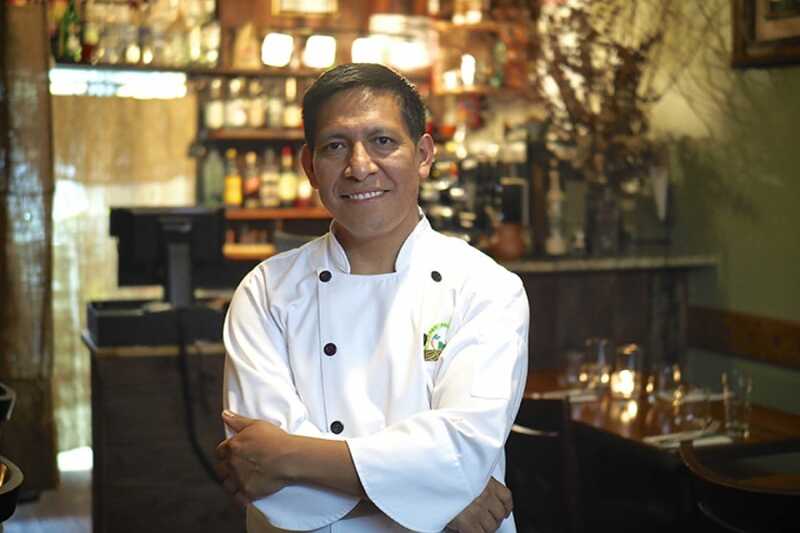 Call it practicality, an immigrant’s bootstrap mentality, or the fact that he’s been working in one way or another since he was in grade school in Ecuador, but Alfonso Zhicay sees nothing unusual about spending his days at the Academy of the City and running Casa del Chef at night. To him, they fit together like puzzle pieces of the American dream. “When I took the job [at the school], the economic situation in the country was bad,” he says. He had just left his longtime position working with farm-to-table nobility Dan Barber with the ambition to open up his own place. “But the economy was falling apart,” he says. “A lot of companies were closing.” It also took a while to find a suitable location. So Zhicay applied for this job, which ended up fitting in well with his plan. “My entire life my dream was to open a restaurant only for dinner time, for fancy dinner,” he says. “So it was kind of perfect that this was a morning job.” This means that for four days out of the week—the restaurant is closed Mondays—his workday runs from 7:30 a.m. to closing, which is midnight on Friday. For Zhicay, it’s worth it. “I really love sitting there every day with those kids and have them like what we do.” Certainly if you can please them, everyone else is a piece of cake. Despite his interest in food, he had actually trained to be a shoemaker—“My secret is that I can make shoes,” he shares—but the promise of a bigger paycheck to help out the family led him to a job at Parador Turistico Gualaceo, an organic farm, restaurant and upscale hotel, working as a bartender and in the front of the house. He credits that job and its robust international clientele with opening his mind up to a world of possibilities, and in 1994 he found himself sponsored by a family friend on his way to New York to learn English and culinary techniques. It wasn’t easy in the beginning—his first job at a Korean supermarket paid just $180 for a week of six 12-hour-per-day shifts, but it was through that position that he met the manager who would give him his first kitchen job in an upscale cafe in Tribeca frequented by the likes of John F. Kennedy, Jr. “They were doing nice and fancy gourmet salads, sandwiches, and soups,” he says. “I learned everything on the job there.” A few years later the space was sold to none other than David Bouley, who kept him on the payroll. It was in that talent-filled kitchen where Zhicay met Dan Barber, whom he would eventually work with at La Cigale and Blue Hill for 15 years. Conjuring more memories, you’ll be served a welcome drink from his hometown upon entering Casa del Chef: a hot tea called canelazo. Zhicay’s version features passion fruit juice, lemon juice, star anise, a potent aguardiente (sugar cane liquor) called Zhumir and cinnamon. In Ecuador, it’s drunk in homes surrounded by family and friends. 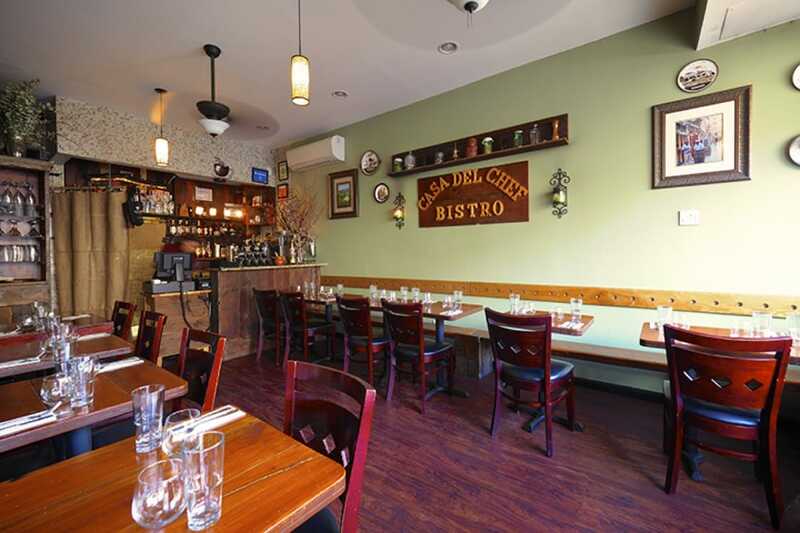 In the cozy Casa del Chef, with a wooden bench and a bourbon barrel marking the entrance, the beverage invites you in. When the weather gets warmer he’ll switch the drink to mapanagua, made with sugar cane juice, lime juice and Zhumir. “That’s the best thing for the summer when it’s hot,” he says of the cocktail he remembers fondly. And when it’s hot in the summer his schedule slows down, allowing him to savor the season. Alfonso Zhicay may currently lead a hectic double-life, but if there’s one good thing about working for a New York City public school it’s the built-in summer vacation. Photos courtesy of Casa del Chef. These seven eateries in the city offer up a three-course meal for a maximum of €37.